Mt. Olivet Rolling Acres’ Senior Leadership Team provides agency-wide support, leadership, and talent management, while ensuring quality of services in all areas. With 235 combined years in the disability services field, the Senior Leadership Team brings a wealth of knowledge and experience to MORA. Tracy joined Mount Olivet Rolling Acres in July of 2017. She has more than 25 years of experience as an operational and financial leader of teams. Prior to joining MORA, she served in multiple leadership roles in Bangalore (India), Minneapolis (Minnesota), and Toronto (Canada) with Target Corporation. Tracy brings her high-energy, personal, and authentic leadership style to our organization. Her focus on staff development, change management, and solving critical/systemic issues in the disabilities sector helps us serve our clients and partners more efficiently and at the highest quality level. 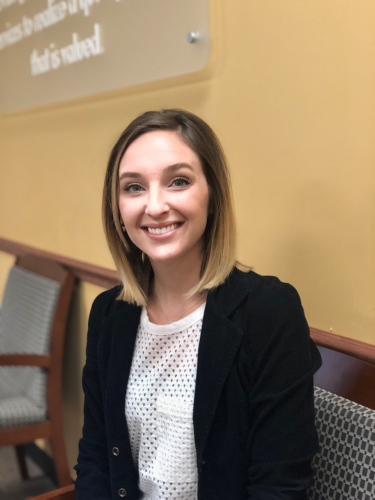 Hope joined Mount Olivet Rolling Acres as Chief Financial Officer in September of 2018. 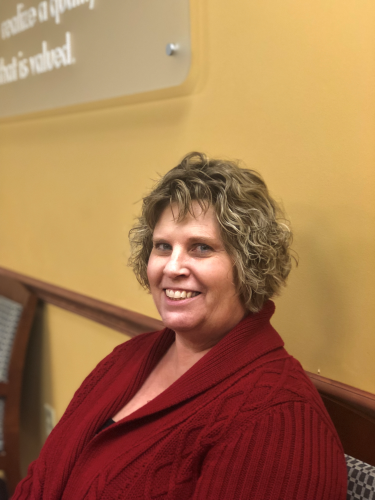 She has over 20 years of experience in the accounting field with 5 years in public accounting and 15 years working in the developmental disability community. Hope holds both her Certified Public Accountant and Chartered Global Managerial Accountant certifications. Hope brings knowledge in the Medicaid field along with experience in business operations and budgeting. Hope believes in working collaboratively to ensure all individuals are supported at the highest level. As CFO, she leads both the Finance and Information Technology team for MORA. Wayde joined Mount Olivet Rolling Acres in May of 1996 as a Direct Support Professional. Wayde became a Program Supervisor in 2004, Program Director in 2007, and a Senior Program Director in 2013. Wayde came straight to MORA from college with a BA degree in Sociology/Criminal Justice, along with minors in Recreation and Coaching. Wayde has spent his entire professional career with MORA. Wayde oversees Program Supervisors and their residential programs, MORA Facilities, capital projects, serves as a lead for the Apprenticeship Program, and assists in the training department. Wayde has a high level of commitment and passion in advocating for MORA and the clients we serve. He brings his leadership style, motivation, and inspiration to our organization. His focus is the client’s needs, person-centered approach, changing the industry, staff development, and providing the highest quality services as an organization. Karen joined Mount Olivet Rolling Acres in June of 1994. She has more than 30 years of experience in the human services field. Prior to joining MORA, she worked with the elderly population at a Covenant Senior Living Community in Golden Valley, MN. Karen brings strong client advocacy to our organization. Her focus on Intermediate Care Facilities, group homes, in-home services, adult day services, and crisis services helps us serve our clients and partners more efficiently, and at the highest quality level. Sarah joined Mount Olivet Rolling Acres in July of 2012. She began working in one of the residential group homes acting as a Program Coordinator, moved into a Program Supervisor role in 2013, and has been acting as a Director over a portion of MORA’s residential homes since 2014. Sarah brings focus, positivity, and devotion to our organization. 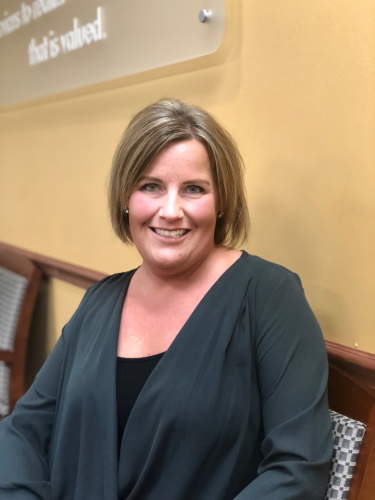 Sarah’s passion for high standards of client care, team development, and ensuring organizational standards in the residential homes assists MORA in providing continuity of care for those supported. Sarah manages her homes with empathy one can only gain from hands-on experience, and provides leadership for hers teams that is both efficient and effective. Katie joined Mount Olivet Rolling Acres in June of 2011 as a DSP. In July 2012, Katie became a Program Supervisor and later in August 2013, a Program Director. Katie comes to MORA with a degree in Life Science Education and a passion to help those with developmental disabilities. 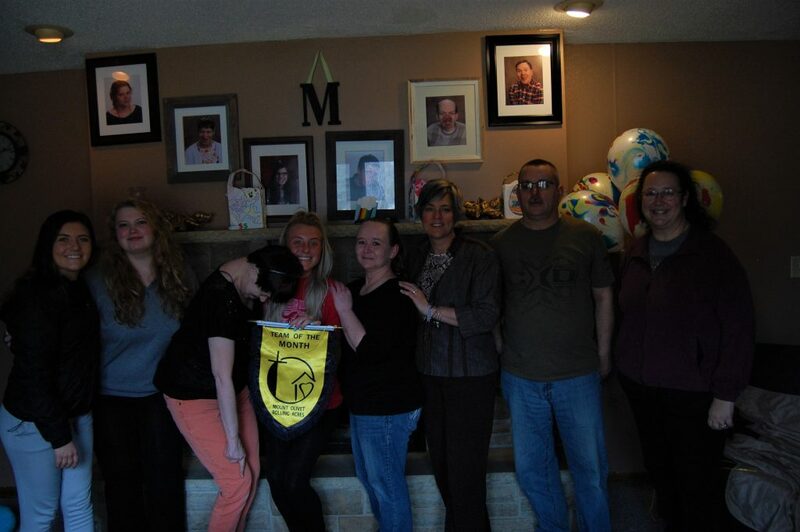 Prior to MORA, Katie taught for three years and was a volunteer with Special Olympics Minnesota for four years. 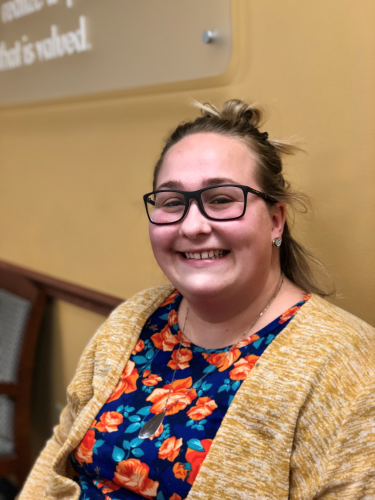 Katie works with supervisors in Mount Olivet residential programs, assists in the training department, co-leads the Apprenticeship Program, and Adult Day Services Program. Advocacy for client’s wants and needs, along with being good stewards of client’s resources is one of Katie’s main focuses. Jim joined Mount Olivet Rolling Acres in December of 1996. He has more than 35 years of experience as a director of services for individuals with intellectual and developmental disabilities. 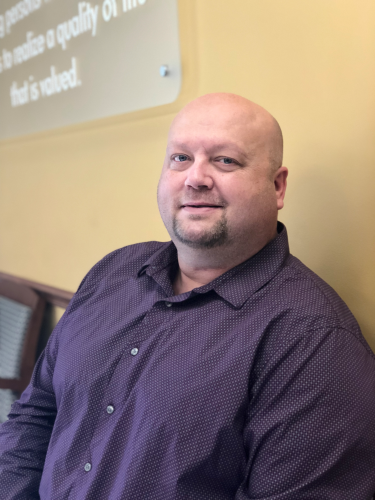 Prior to joining MORA, he helped develop a day program that serves individuals that previously had not been able to secure services, or had been discharged from other programs because of their need. Jim has provided behavioral and organizational consultative services across the metropolitan region, as well as in greater Minnesota and Wisconsin. 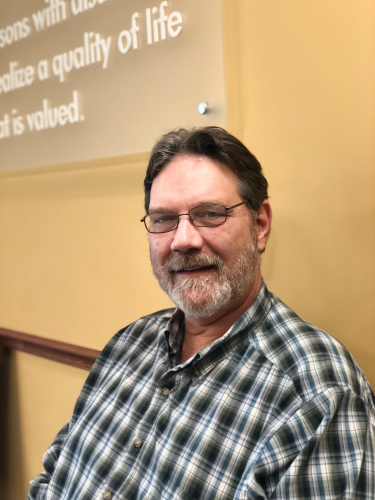 Jim brings a strong collaborative and pragmatic style to his work, encouraging inclusion and opportunity both for the individuals supported, as well as for those working to provide supports. Stephanie joined Mount Olivet Rolling Acres in February of 2006. She has over 35 years of experience working with individuals with special needs from infancy to 100, helping them to reach their personal goals thru recreation and leisure development and engagement. Person center thinking and implementation is a part of the Therapeutic Recreation process, striving to meet the needs of each individual in ways that enhance their lives through personal interests and choice. 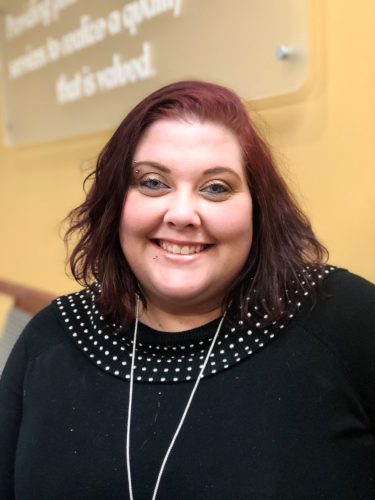 Stephanie degree in Therapeutic Recreation and masters in Healthcare Administration help her to develop programs that can meet the changing needs of at MORA and those we service. As well as being a CTRS, she works with National Task Group on Intellectual Disabilities and Dementia Practices, helping with development of national policies and tools for the aging with I/DD. 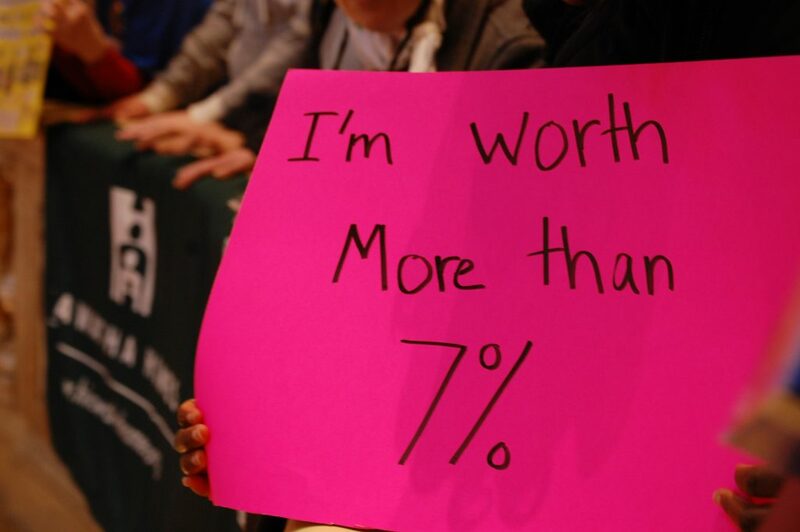 Julie studied Liberal Arts for the Human Services at the University of Minnesota, Morris. She has over 20 years of experience working in the social service industry. 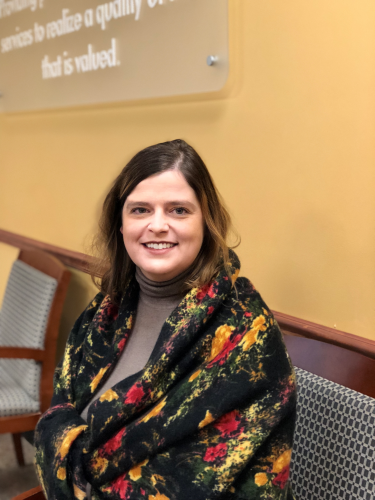 Prior to joining MORA, she worked as a county case manager, a director of a residential company and with individuals with disabilities in vocational services. She joined Mount Olivet Rolling Acres in April of 2016. Julie brings extensive knowledge of the social service industry. 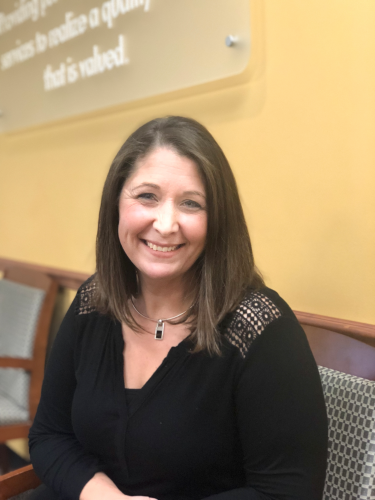 Her high energy and collaborative style ensures her team delivers high quality person-centered, case management which meets the physical, spiritual and psychosocial needs of every person served by Mount Olivet Rolling Acres. Stacy joined Mount Olivet Rolling Acres in December of 2003. She has more than 10 years of experience as a Human Resources Professional. Prior to joining MORA, she was a Professional Photographer and has a Professional Photography degree, as well as a Business Management degree. Stacy brings her creativity, enthusiasm, and high-energy to our organization. She is responsible for overseeing our hiring, training of employees, personnel issues, and employee benefits. Nikki Storebo has been with Mt. Olivet Rolling Acres since 2013, and in the disability services field for 10 years. Prior to becoming the Quality Enhancement/Program Director, Nikki was a Program Supervisor for four MORA residential homes. 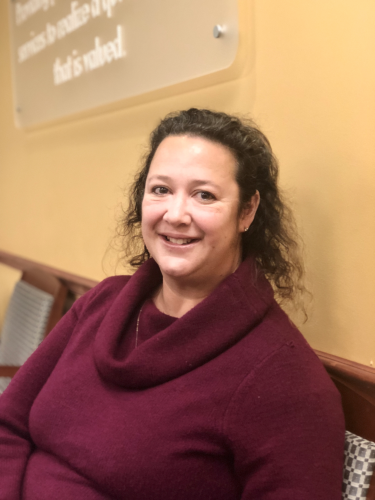 In addition to providing quality oversight for the agency, Nikki oversees MORA’s Andover Youth Support Home, a program that provides short-term support for youth experiencing a mental health crisis. 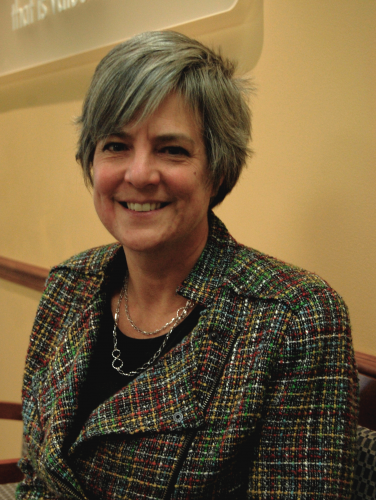 She also leads the agency’s grassroots advocacy efforts and manages corporate communication. Her passion lies in helping clients create lives that are person-centered and meaningful, and training and developing staff at all levels. Nikki has a Bachelors of Science in Management and a Master of Arts in Marriage and Family Therapy. Nikki brings her creativity, passion, attention to detail, and person-centered leadership style to our organization. Her focus on staff development and quality client care helps us ensure we are providing the best services possible and equipping our staff with the tools they need to be effective direct support professionals. Jennifer joined Mount Olivet Rolling Acres in 1997 as a DSP, while obtaining her Nursing Degree from Gustavus Adolphus College. She has over 17 years of nursing experience within the IDD field, as well as hospitals, oncology, ICU, home health, hospice, and insurance. Jennifer is a strong advocate for the individuals we serve within changing medical systems and medical insurance. She is also a strong advocate for aging in place. Jennifer brings her enjoyment of teaching and sharing her knowledge with staff and partners of MORA to our organization, and uses these areas to provide the best possible care for those we serve. Gretchen joined Mount Olivet Rolling Acres in November of 2015. 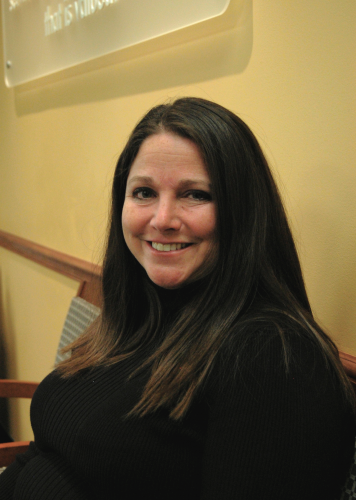 Prior to joining MORA, she worked as a behavior therapist for children diagnosed with autism spectrum disorders. 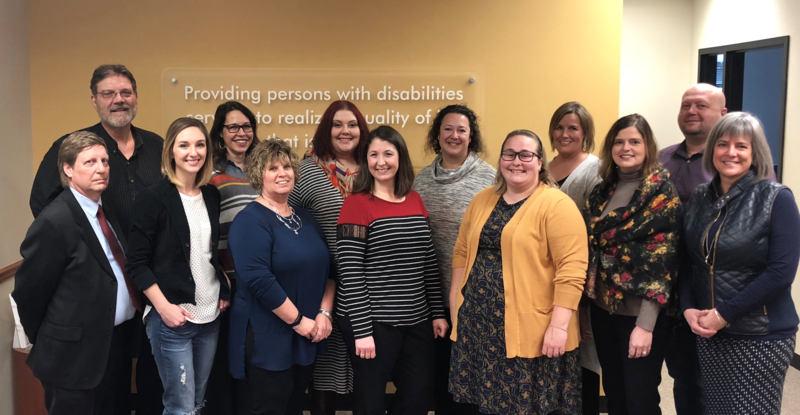 Gretchen attended the University of Kansas in Lawrence, Kansas, and earned her BA in Applied Behavior Analysis with an emphasis on Autism Intervention. Gretchen brings her extreme attention to detail, expertise in scheduling and correspondence, and project coordination to our agency. 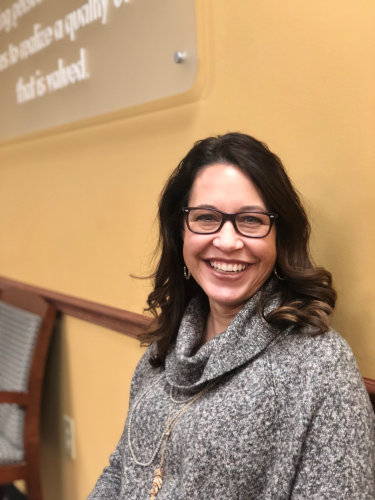 Given her background, she takes pride in her work and thoroughly enjoys working on efforts to better the lives of the clients we serve at MORA, as well as the wonderful staff working in each of our homes.